The physical universe operates by a set of constants — laws that do change with time, trends, or public opinion. They are the true reasons things work the way they do, irrespective of commonly held beliefs, imagined formulas, or magic potions. Sir Issac Newton did not create gravity or even discover it. In 1666, the year of Newton’s apple-tree revelation, everyone knew that when an apple detached from its tree, it fell straight down to the earth. There were, however, lots of ideas about why such things happened. Hyper-spiritualist might have said that angels picked the apples and threw them down to the ground. Others probably said that an apple falls just because it does, and that is all anyone needs to know. Any further investigation was a waste of time. Aristotle would have said the apple falls because of its natural place in the universe — that is, heavy objects like rocks “wanted” to be at rest on the earth and that light objects like smoke “wanted” to be at rest in the sky. An interesting idea but not very useful because it only described what had happened. It could not predict what object would do or explain why they “wanted” to do it. Isaac Newton simply broke down the falling-apple process and explain precisely why it happens the way it does. The result eventually became Newton’s Law of Universal Gravitation and His three Laws of Motion. Perhaps “simply” is not the best word to describe what Newton did because he had to invent the mathematics of calculus to proof his theory. A better word might be “clearly.” Newton so clearly explained the dynamics of gravity and motion that he demystified the phenomena and revealed it to be something very predicable. In fact, the true test of Newton’s theory was its ability to accurately predict planetary movements. I spent many years in the business of selling, servicing, and recruiting, not without some degree of success. Always wanting to improve, I read all the books, attended the seminars, and experimented with numerous formulas — all promising to be the key to phenomenal success. I knew that all those formulas (at least the one the made any sense) revolved around relationships. However, turning relationships into real success was a lot like trying to understand apples falling out of the Newton’s tree. I would read a biography about a top executive but could not clearly break down the process that made it all happen. Of course, there is no shortage of theories about why people succeed. But their value was in the description of what one person had done and far less predictive of what others might do; kind of like trying to figure out why the apple “wanted” to be down on the ground rather than up in the tree. In other words, such and such seemed to have worked for a great CEO and was cited as the reason for his success. However, the same principle proved ineffective for me. Eventually, I became a bit cynical about all the advice, feeling that those proposing all the theories of success had not really gotten to the bottom of it. Perhaps the truth was that those who succeeded did so simply because they had the gift, and those without that gift were simply wasting their time. In other words, some apples fall to the ground just because they do, and that’s all we can really know about it. When Sir Isaac Newton was asked about how he had made his remarkable discoveries, he is reported to have said, “By thinking about it all the time.”2 I’m no Isaac Newton, but I have been thinking about success and relationships for a long time. I have seen something in the great scientist that directly applies to everything I have ever tried to do. 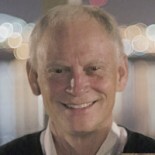 Newton’s three Laws of Motion (inertia, applied force, and corresponding reactions) seemed to be that underlying component to all the theories and stories about the impact of success. The more I thought about it, applied it to previous experiences, and tested it in new ventures, the more I came to realize that the momentum of relationships was a determining factor in the success or failure of every salesperson, business leader, or social change agent. No matter what you are trying to measure — business ventures, marriages and family dynamics, financial investing, or any other pursuit — the dynamic of momentum will be the surest predictor of its relative success or failure. Ockham’s razor is a principle of scientific research (also know as lex parsimoniae or the Law of Parsimony) that stipulates the following: if two theories equally explain and predict an observable phenomena, then the simpler of the two is usually the true cause.” The word “Ockham” comes from the philosophy of William of Ockham (c. 1285–1349), and “razor” refers to the process of shaving off the excess. Isaac Newton wrote, “We are to admit no more causes of natural things than such as are both true and sufficient to explain their appearances.” 3 Note that it is not just the simplest answer but the simplest answer that works. Efforts to explain gravity on the basis of angels or objects that “want” to behave in certain ways were unscientific, not just because they were strange. Since they could not predict events, they could not be tested, proven, or disproven. Newton’s Universal Law of Gravitation was not the first theory put forth to predict the motion of planet. Two hundred years earlier, planetary movements were predicted by unimaginably complex calculators. They were so complex because they were base on a faulty premise — that the sun and stars revolved around the earth. For that same reason, they were less than precise in their predictions. 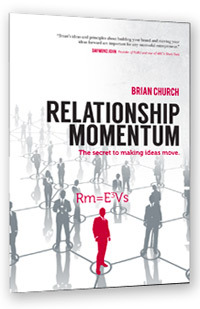 Regarding principles of success in business, the ah-ha for me came with the concept of relationship momentum. All the ideas and anecdotes about the sure-fire keys to success began to look as artificially complex as a medieval planetary calculator or as speculative as theories about objects “wanting” to be on the ground or in the air. Thinking about moving from where I am to where I want to be in my career, about the ability to overcome obstacles and break through barriers, there is no concept more basic than momentum — the product of velocity and mass. That’s not to suggest that it is simple and easy to manage relationships that produce strategically directed momentum. Often it is not. However, the fundamental concept upon which every other idea rests is elegant, sound, and (by the shaving of Ockham’s razor) simple. 1 Cited in Rules for Methodizing the Apocalypse, Rule 9, from a manuscript published in The Religion of Isaac Newton (1974) by Frank E. Manuel, p. 120. 2 Attributed to him as a reply upon being asked how he made his discoveries, in an anecdote told at the Newton Tercentenary Celebrations: 15-19 July 1946 (1947) by The Royal Society. 3 Stephen Hawking (2003). On the Shoulders of Giants. Running Press. p. 731.